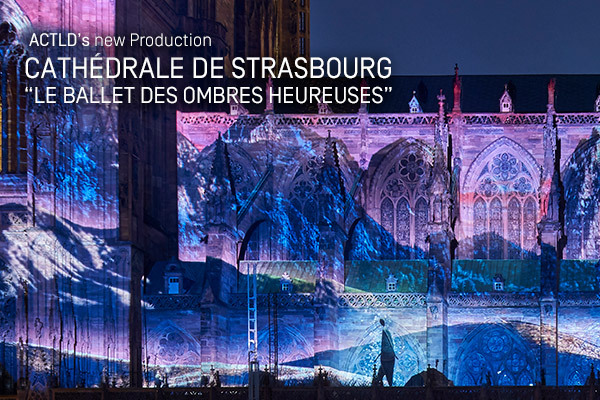 After the success of the summer production Lumière Intemporelle in 2016, ACTLD has been mandated one more time to create a new production for the illuminations of the Place du Château in Strasbourg. 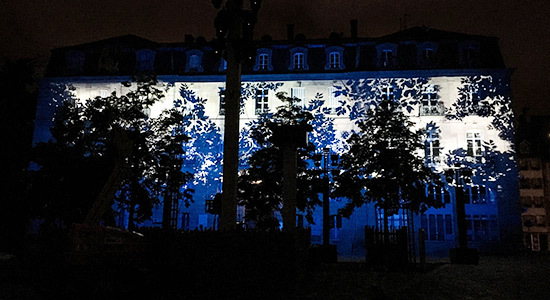 This year the Place du Château becomes a contemporary shadow theatre. An immersive 360° visual experience brings to life a dreamlike spectacle high in contrasts, inhabited by real and phantasmagorical shadows. 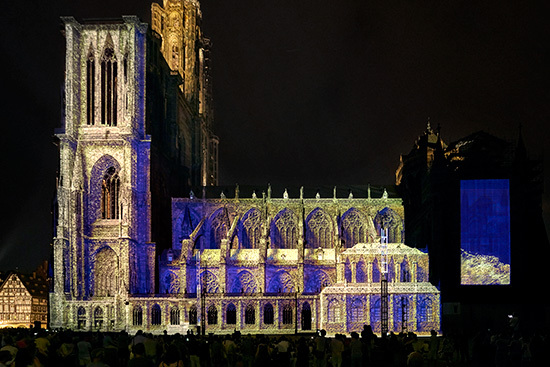 Youll discover a mapping with integrated light effects on the cathedral itself but not only that. Turn your head around and youll see shadows playing on the different buildings, as well as on the pavement. Youre not witnessing the show, youre part of it... Be careful, our Silhouette might catch you with its spotlight! The classic sound and light show was inspired by the ancient tradition of the shadow play. Shadows have been chosen as the principal way of expression to play with light and space, and thus create a unique immersive experience. A Silhouette, the heart of the cathedral, takes over the role of the storyteller and drives us throughout the spectacle. The shadow is metamorphosing in all its different forms, through poetic scenes that evolve gradually from black and white to colour. The white tones enhance the original colour of the cathedrals stones while the colour gently appears and transports us through fascinating universes. "A captivating atmosphere progressively grows and flies to a wonderfully rhythmic world resonating all around the square, in the heart of the city." In close collaboration with Rosco, we developed a contemporary shadow theater made of 330 made-to-measure glass gobos. The gobos let us achieve a play of shadows and lights that creates an immersive experience for all the spectators. 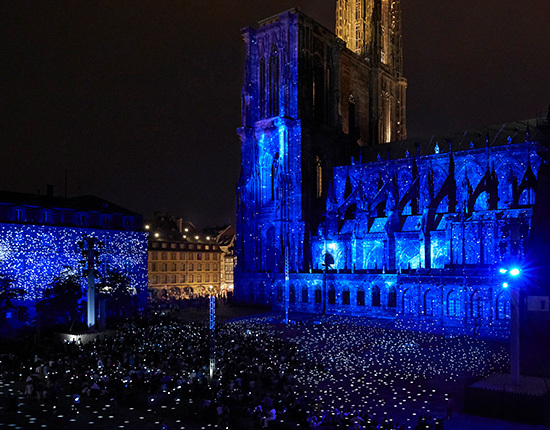 It was the most effective way to extend the mapping on the cathedral and achieve a 360° immersion. It is also important for ACTLD to integrate the technical elements into the background and render them almost invisible. Where it was not possible to hide it weve designed set elements as part of the show, such as the sculptures. "Design September". 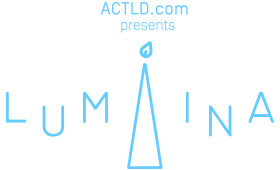 Stay tuned for more infos on this upcoming event.